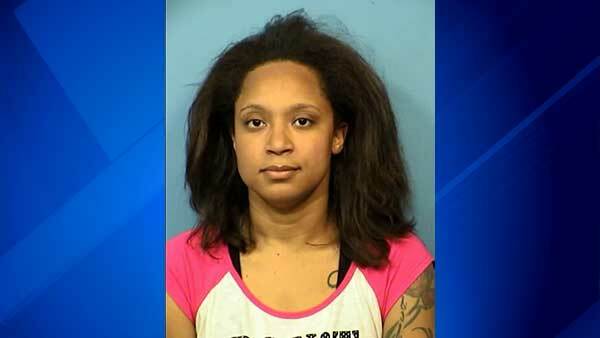 ROSELLE, Ill. (WLS) -- Bond was set at $2 million Friday for a woman who is accused of stabbing a woman and setting fire to a townhome in northwest suburban Roselle. Chevaz Odio, 28, of Elgin, has been charged with attempted murder, aggravated arson, home invasion and possession of a stolen motor vehicle, the DuPage County state's attorney's office said. Odio broke into a townhouse on Circle Avenue around 2 a.m. Tuesday and got in a fight with a woman in the house. After the women argued, Odio stabbed the woman multiple times with a sharp object and put a plastic bag over her head to try and suffocate her, prosecutors said. The woman was able to run away and went to an upstairs room. That's when Odio started a fire on the first floor of the townhome and left, driving away in a car that did not belong to her. Firefighters responded to the fire at 2:30 a.m. and said the stabbing victim and another person who lived in the home jumped from the second floor to escape the fire. Both are expected to be fine. Odio is set to appear again in court on August 21.